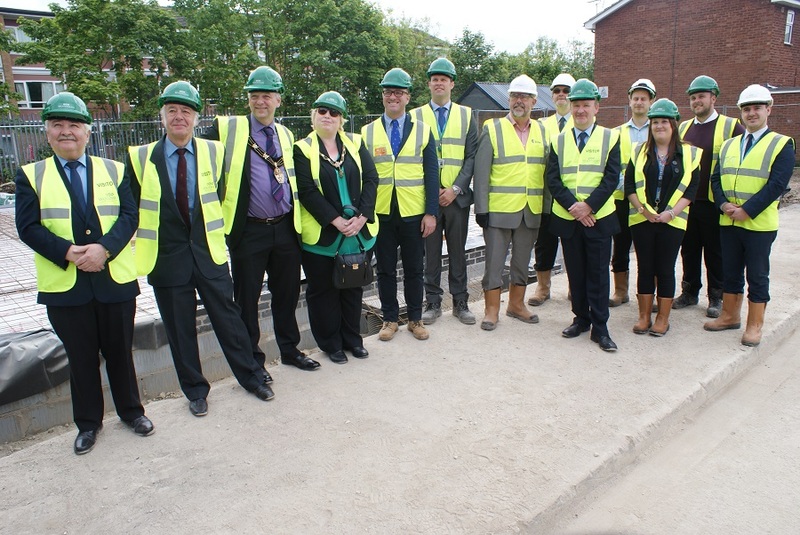 The project consists of the design and build of 20 new bungalows around the Birchwood estate area of Lincoln. 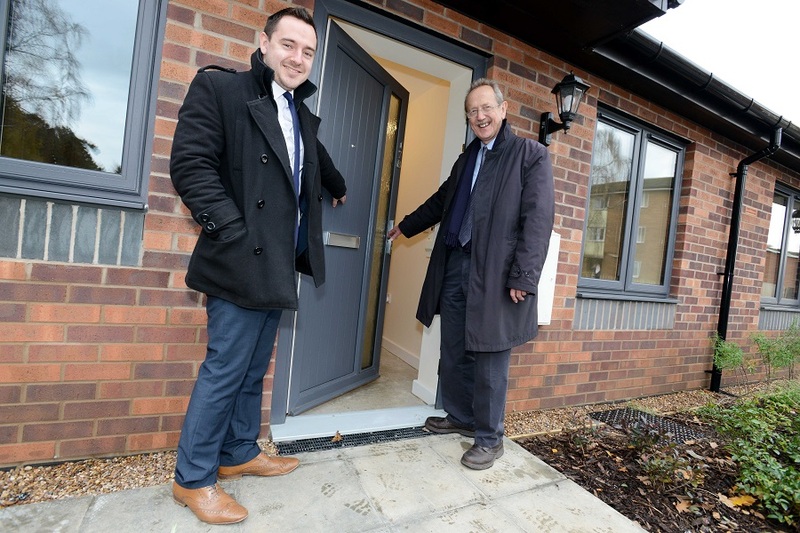 Built on land formerly occupied by garages, these homes will help the council to meet a growing demand for bungalows in the area and are part of a wider scheme to build 150 new council properties in Lincoln over six years. The bungalows were built across 5 separate locations. Woodhead Living has completed the project on behalf of the City of Lincoln Council, through the East Midlands Property Alliance (empa ii) Framework using a ‘fabric-first’ approach, which means the homes offer improved energy efficiency, and reduce carbon emissions without the use of complicated or expensive sustainable technologies. The construction process involves using an air tight and highly insulated fabric to reduce heating requirements and ensure energy bills are kept as low as possible for tenants. This approach also enables the bungalows to achieve a “B” EPC rating. The fabric-first method can also reduce lifetime maintenance costs during the building’s lifespan, providing long term management benefits and efficiency savings. The project sites are located within close proximity to existing properties in a busy residential area. A strict traffic management plan was enforced to all our subcontractors and suppliers. Impact on neighbours by operative behavior is managed by clear site rules. Delivery instructions are included with orders and street parking for operatives, which is unavoidable, is managed to avoid unnecessary impact. Before the works started, a commencement of works letter was sent to all residents, this provided them all with a clear expectation of what works were going to take place, and how Woodhead will look to minimise disruption. The letter also included direct numbers to the Site Manager, and Head Office. 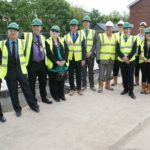 When elements of the works such as Asbestos removal were going to take place, the site manager personally visited residents this would effect to make aware of the health and safety aspects involved with Asbestos removal. Safety Zones were implemented to ensure that no asbestos fibres would gain entry into resident’s properties. Woodhead have been supporting a local scout group by collecting any redundant materials that the Scouts can re-use. Bat and bird boxes have been made from spare materials. Considerate Constructors Score 36/50 – “The exceptional image created by the central compound is supported by a very good appearance at the work area with well organised material storage and high standards of cleanliness throughout”. Woodhead attended the ‘Year 10 world of work day’ at The Priory City of Lincoln Academy. This saw Woodhead provide year 10 pupils with information about a range of career options in the construction sector. Week-long School work experience placements provided. 3rd year apprentice Joiner on site for the duration of the project.